Index card binder to organize your recipes, bible scriptures, class notes, flash cards, art sketching, addresses or to-do list in an index card binder. Anything else that will help simplify your life! Included are 50 - lined index note cards and 5 blank tab dividers to separate your functional designer journal. The tabs are also covered with laminate and left blank for you. I have found that using a permanent marker works great for the tabs. It can work as a dry eraser to write on the laminated tabs. Just rub off (with a little pressure), if you make a mistake and rewrite. 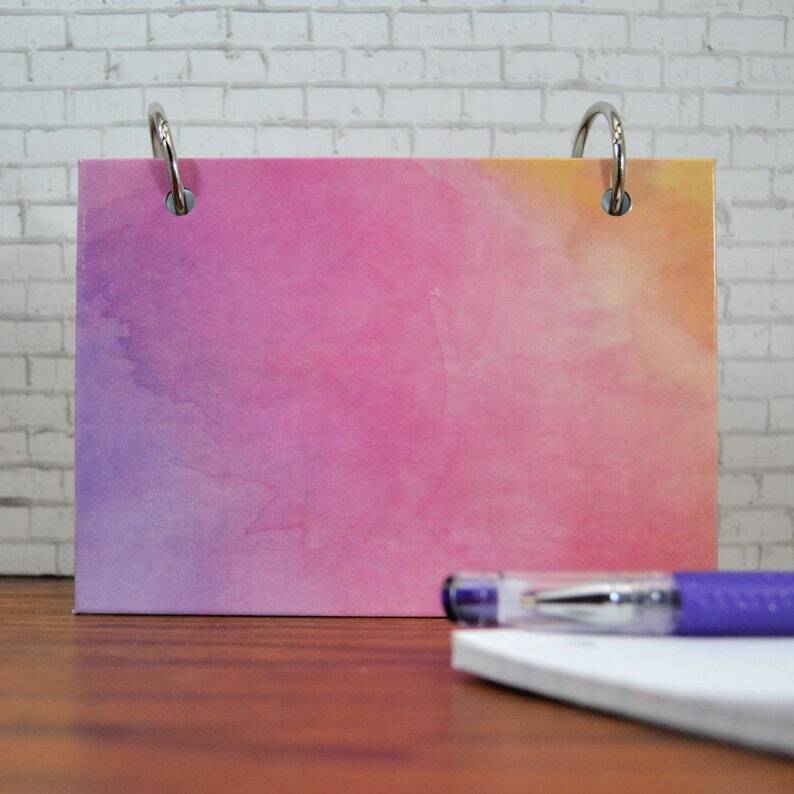 These index card dividers are so cute and pretty much what I was looking for! Admittedly I was a little bummed when I received them and noticed they wouldn’t work for my diy coupon box project using an old baby wipes container, but I purchased a cute little container from Target and these dividers work perfectly for my project in this container. Will definitely purchase from you again, thanks!